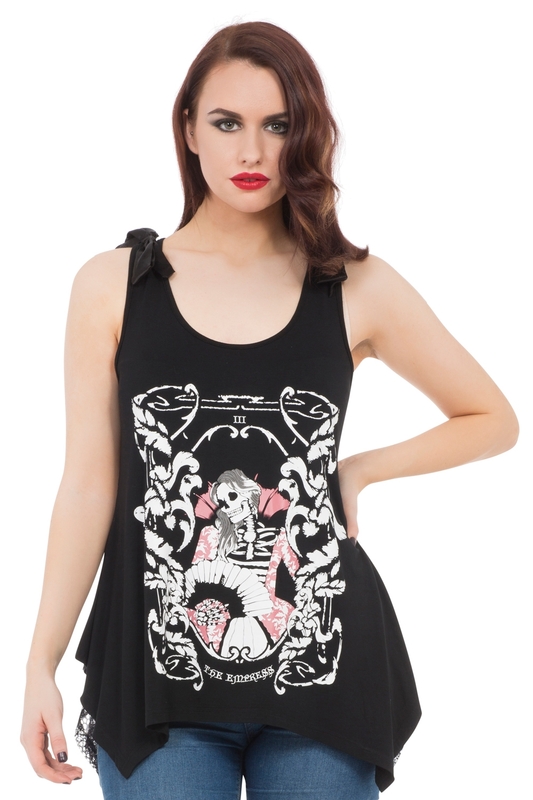 The striking Empress Tarot Vest is a part of our Tarot card range. 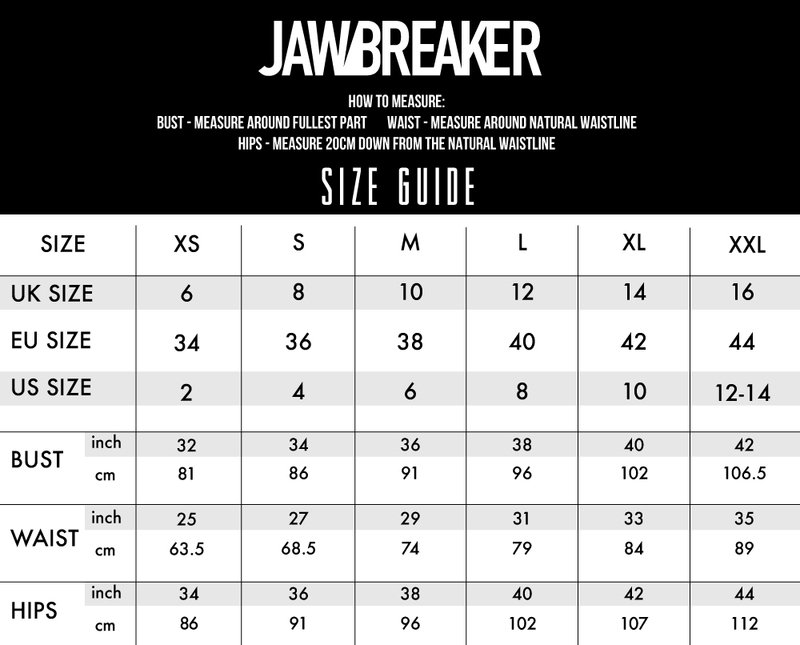 Featuring a stunning, skeletal Empress design and lace back. We can see the future and the future is bright.